When you hear the word ‘survival’ mentioned when it comes to any team, it’s hard not to feel for the fans and everyone involved with that club. It’s the prospect of losing something they hold so dear. People have friends and even family who can come in and out of their lives, but their team is a constant. It’s like a religion. Kevin Parrish, the Invicta Dynamos coach, is someone who embodies the club in a career that’s lasted over 20 years with the Gillingham club. He first signed for them in 1997 and took over as player-coach in 2003, a role he still holds so when the news that Crowd Funding was needed to help the Dynamos to get to the end of the season, the fear of losing something so dear to him was very real. “It’s been tough and it’s a big vicious circle we’ve found ourselves in,” he said. “We’re not competing in the league and we’ve seen players leave and it’s had a knock on effect which is why we did what we did to get us to the end of the season. “It became apparent a couple of weeks ago there was a problem. We’d struggled through the summer behind the scenes and getting sponsorship. If you look at our jerseys, you’ll see we’re the only team in the league with no sponsors written on them. 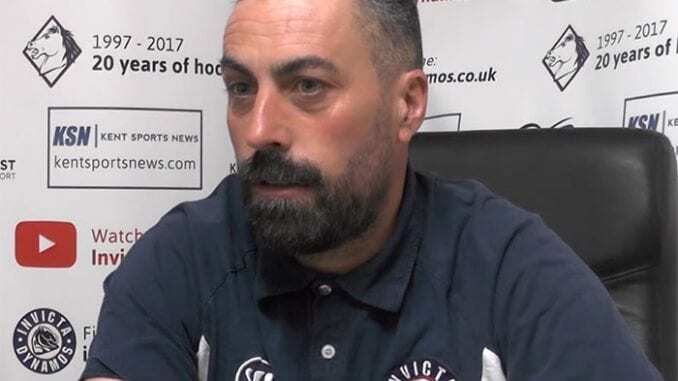 “Plus the league changes that have happened in the last couple of years, which the EPL folding and those teams joining the NIHL, it’s became a lot more professional. Unfortunately, we haven’t been able to adapt to how professional you need to be in this league. On Friday, the Dynamos appealed to the ice hockey community for help, looking to raise £5,000 that would help them get to the end of the season and by Monday morning, they had reached and breached that target, giving Parrish and the fans hope that, off the ice at least, they can continue. Parrish admits he’s been blown away by the response to the appeal as he tries to turn the team’s fortunes around on the ice, currently languishing bottom of NIHL South Division 1 (Britton) and has seen two imports leave in Martins Susters and Edmund Piacka. And he outlined what’s coming next after the money they sought was successfully raised, including a thorough examination of what Invicta can do to improve what they do on and off the ice. “The response has been unbelievable to be honest,” he added. “If you go on the forums, you’ll see I’m not well liked in the ice hockey world, but when you get text messages telling you £375 has gone into a bucket for you at the Basingstoke-Streatham game, it’s overwhelming. “We were sitting on Friday watching the total go up and up and couldn’t believe what was happening. The support from the hockey family has been incredible and our own fans, who come in every game have been fantastic, singing their hearts out and being there for us. “You’d like to shake every person’s hand and thank them personally and put it out there as much as possible and as I say, it’s been overwhelming. “Now it’s a case of sitting down and seeing what we do next. We have a fans forum then we’ll look at the structure and where we’re going wrong. We set up a crisis group a couple of weeks and they’ve worked their backsides off in getting us to where we are. “There’s a lot of things going on behind the scenes and the biggest thing I think we need to do, we’ve been a little bit stuck in our ways so we probably haven’t moved with the times. The product needs to be better for everyone if we want to bring more people to the rink. “We definitely want to make the squad a little bit better and find an import that can come in, score some goals, help put bums on seats and hopefully pick up some points and get us moving in the right direction.